Brazilian Consul to Canada Afonso Cardoso and Armando Padovan at the opening evening of Carrasauga. For a single weekend in May, the city of Mississauga, Ontario, becomes alive with a blur of colors, toe-tapping music, and succulent food. It’s the annual cultural festival, Carassauga, where culinary delights, quick-footed dancing, artisan pieces, and other activities from countries around the world are featured at pavilions, or sites, scattered around this southern Canadian city of more than 700,000 people. “It’s a blast of cultures,” said Armando Padovan, pastor of international ministries at Grace Community Church, a Grace Brethren congregation in Mississauga (Bartley Sawatsky, pastor). A native Brazilian, Padovan quickly saw an opportunity for the church to become involved, even though it had a cultural, not religious, focus. 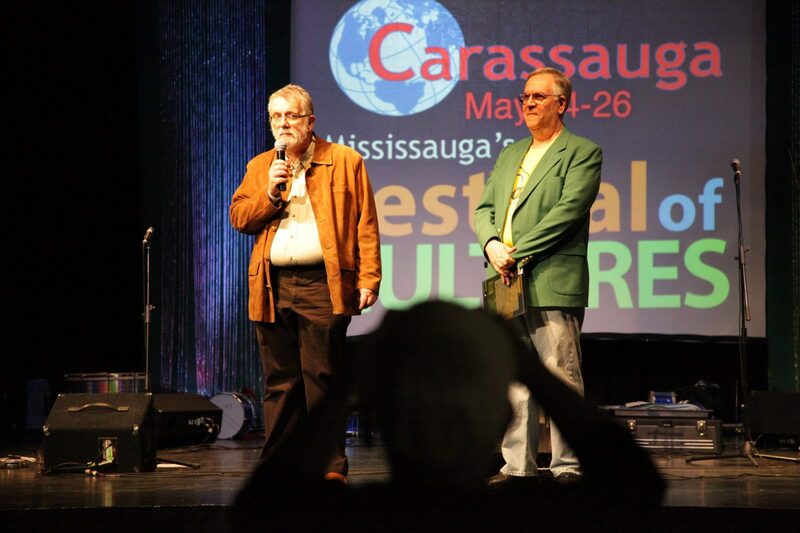 “Armando learned that Brazil was not yet represented at Carassauga (the second largest cultural festival in Canada) and he began to inquire about it,” recalled Bartley Sawatsky, teaching pastor at Grace Community Church. Once Padovan was invited to lead the Brazilian pavilion, he presented the idea to the church elders. “We all agreed it would be a great connection into the community,” added Sawatsky. 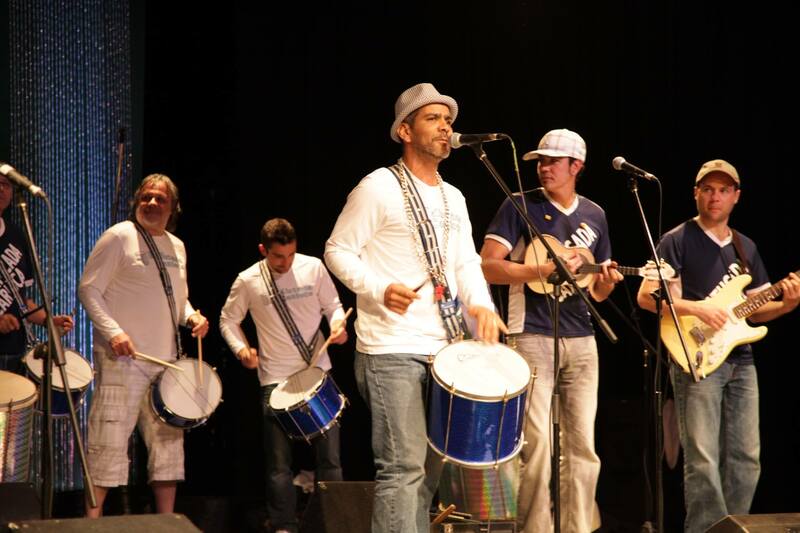 Padovan and his committee, many of them members of Viva Brasil, a Brazilian cultural group within the church, threw themselves into providing 22 hours of programming during the festival. He also counted on 120 volunteers from the church and the Mississagua community. They planned performances that showcased traditional Brazilian music and dance, such as zumba, the bassa-nova, capoeira (a martial art inherited from African slaves) and samba. There were samba classes and soccer workshops. They even gave away a trip to Brazil. 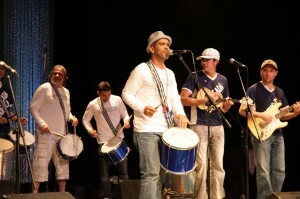 Batucada Carioca Group led by Maninho Costa. 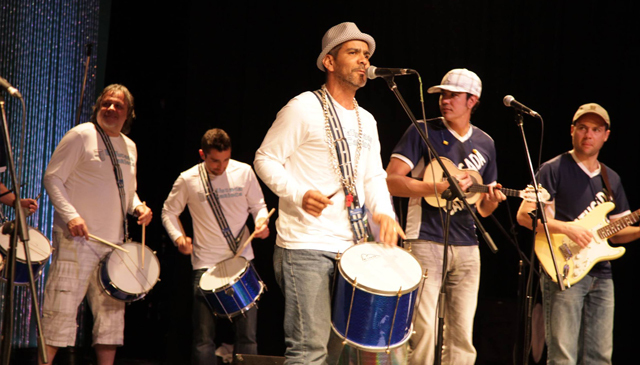 Batucada means music and rhythm of Afro-Brazilian dances. During the weekend more than 5,000 people passed through the doors of Grace Centre, the church’s facility on Campobello Road. “Not only did these people get to know our location, but they got some initial exposure to our ministry,” said Sawatsky. “People were amazed and very pleased that a church was hosting the event and impressed to see the number of volunteers, especially younger people,” he adds. While the festival did not allow specific opportunities to share the gospel, both Padovan and Sawatsky see the festival as an opportunity to open doors. The church has 1,500 names of individuals who visited the pavilion. Each of them will get an invitation to the International Thanksgiving celebration at the church in early October, as well as other events throughout the year.